Maidreamin have launched their official fan club website. 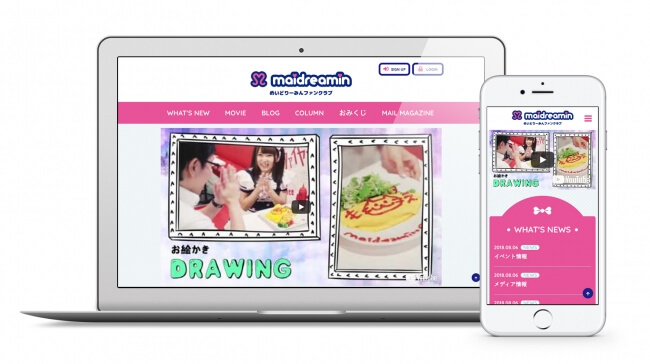 Maidreamin are the one of the world’s biggest maid café groups with 16 branches in Japan and overseas. This large scale maid café was invited to six huge overseas events in 2016 including Fan Expo Canada in Toronto, Anime Expo in LA, Dubai Comic Con, Ani:me in Abu Dabi, and OTAKUTHON in Montreal, each of which boast huge attendance rates ranging from 20,000 to 100,000. The Maidreamin café experience both at events and at each branch pulls all sorts of people into an extraordinary world including kids, groups of girls, couples, company employees, parents and children. The maids develop the designs and select the ingredients of every dish on the menu, from the Instagrammable and cute animal parfaits to the meals. To make the food and drinks even tastier they also perform a spell on your order where they get you to say the magic words with them. You can also order for them to perform a live show where you dance and cheer them on with a penlight. If you’re lucky, you can pass the penlight to one of the maids and they will perform otagei, a type of dancing seen being performed by fans at idol concerts. 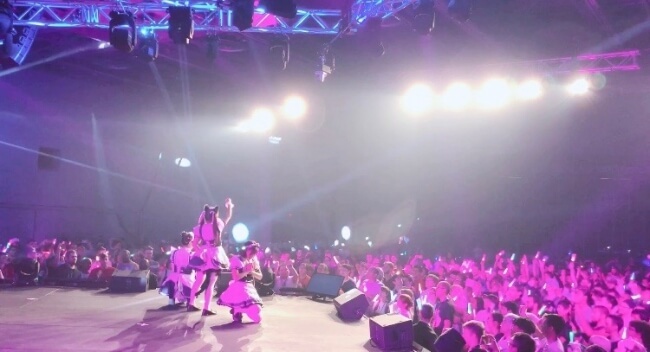 The entire maid cast at Maidreamin are trained to perform otagei. The café also takes on many forms depending on the time, including moe and kawaii. It’s also popular as an entertainment restaurant themed on subculture. There’s a lot of fans who want to get to know even more about the maids of Maidreamin, who continued to challenge themselves to new things day in and day out as ambassadors of the maid café culture leading the industry. That’s where the fan club comes into play. Once a year, the whole group will get together and put on a member’s-only event showcasing other sides to the maids and things people have overlooked. Don’t miss out on this chance to learn more about the maid culture of Japan!